San Diego has one of the largest concentrations of active-duty military in the free world. Over 3,000 service members travel home for the holidays through the San Diego International Airport, some the last trip home before deploying. Many times our service members travel hungry unable to afford the airport food on their long journeys. 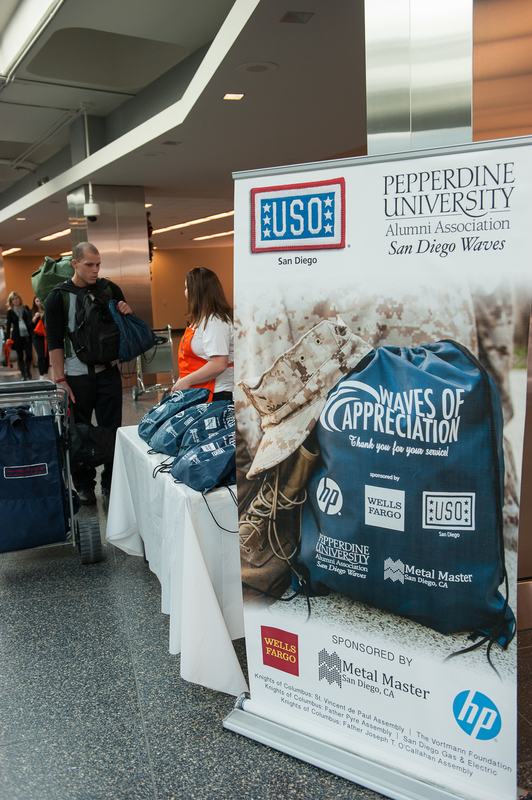 The Waves of Appreciation bags – or WOA bags – contain food and snacks to sustain our service members. Please join us in thanking the men and women who serve our country by donating to the WOA bag project or volunteering your time. Help show your gratitude for our service members. Say thank you to a service member with a hand written note. We need helping hands and we hope you will lend us yours. A thank you from a service member to us.